You wouldn’t want to find this in your toilet. 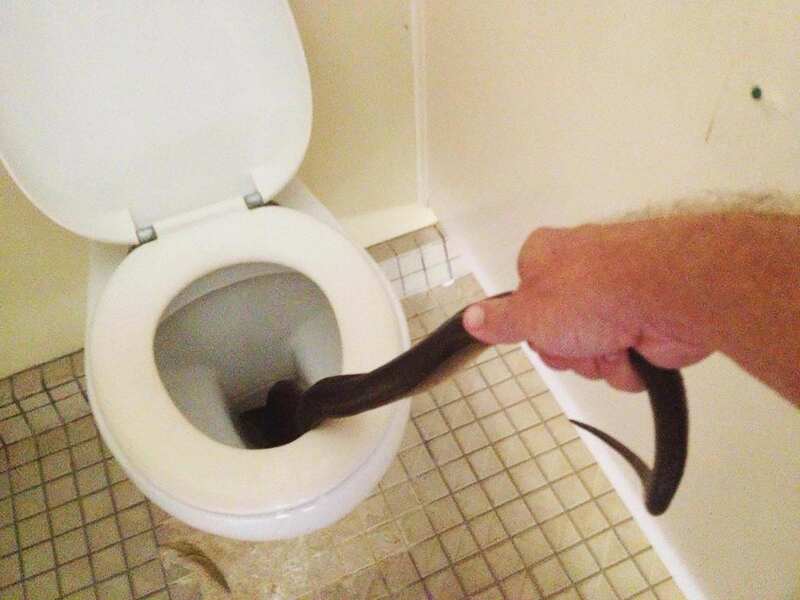 A 10-foot olive python was discovered loitering in the ladies’ toilets at one of Australia’s most famous national parks. Luckily for guests, it was found by the rangers before anyone spotted it. 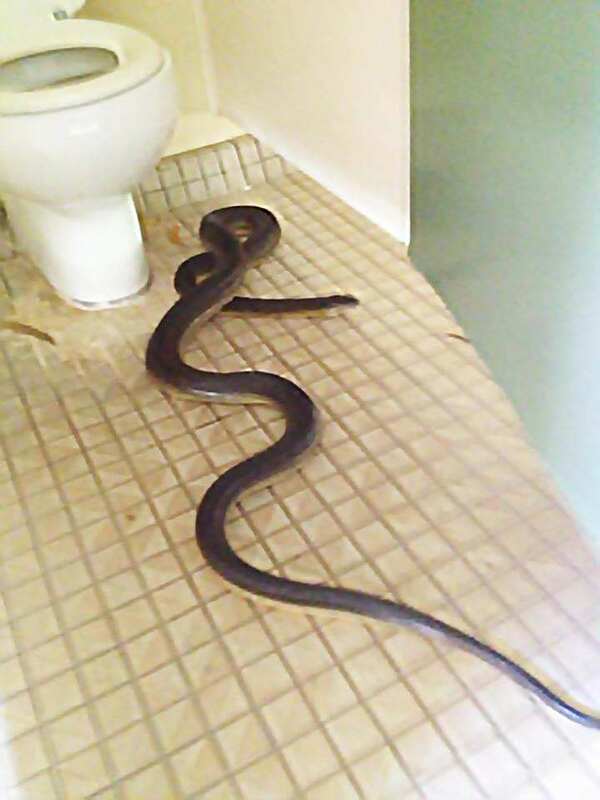 The monster snake was found on cleaning duty at the Charles Darwin National Park in the Northern Territory, and in what seems like a crazy move, park rangers pulled the three to four metre creature from the toilet bowl it was hiding in by hand. Images of the python in the park toilet were posted to Facebook on Wednesday evening – and it’s since been shared over 1,000 times. It took a little bit of persuasion to encourage it to vacate the cubicle. Thankfully it was discovered by rangers and not some poor unsuspecting visitor – who may have had an encounter of their lifetime! While olive pythons are non-venomous, they are powerful hunters capable of hunting, killing and swallowing rock-wallabies, large lizards, and even crocodiles. They are the second largest snake in Australia – the first being the seven metre long scrub python – and are strong swimmers. 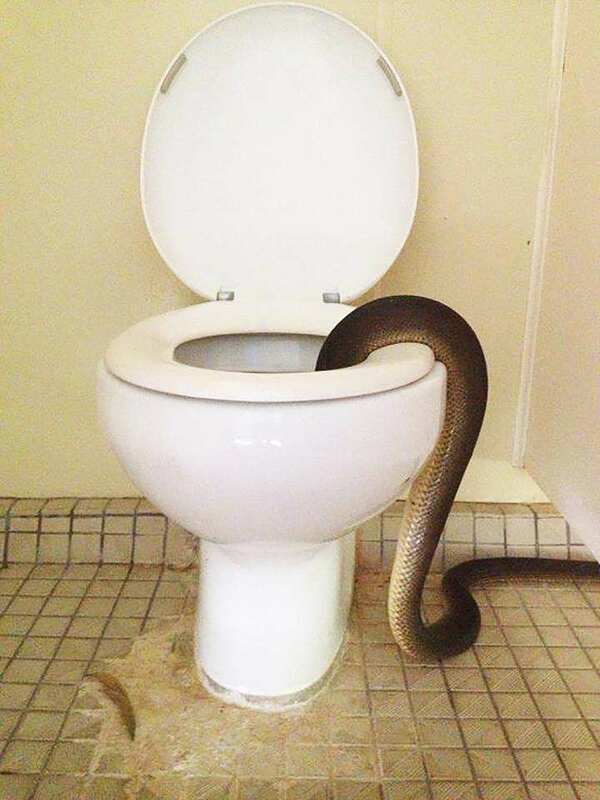 And loitering in a toilet isn’t far off from their favourite hunting ground – olive pythons prefer to hunt at waterholes as they strike their prey from underwater. Thankfully, the one at the national park didn’t catch any prey – and no one was hurt.